Colon Cancer: Surgery and chemotherapy did not cure. Disease got worse. SA, a 34-year-old Malaysian lady, was diagnosed with colon cancer in 2013. Her problem started with abdominal distension for about 2 weeks. She was unable to eat or drink and was vomiting. A laparotomy and left hemicolectomy were done on 20 July 2013. Fourteen out of 19 lymph nodes were affected. Multiple ill defined hypodense lesions in the liver. The largest at Segment 8 is about 2.9 x 2.3 cm. Large mass in the anterior abdomen which extends into the pelvis, size 9.6 x 9.2 x 9.6 cm. likely to originate from the mesentery. From 24 September 2013 to 1 April 2014, SA had 8 cycles of palliative chemotherapy with Xelox (Oxaliplatin and Xeloda). PET scan on 2 May 2014 showed no local and distant metastasis. All liver lesions completely regressed. Barely 2 months later, in July 2014, follow up showed increasing trend in CEA level. PET scan on 19 September 2014 showed a few active lesions in the pelvis and liver. Impression: disease progression. On 19 November 2014, tapping done to remove the fluid in the abdomen. On 24 December 2014, SA was again started on palliative chemotherapy with Xelox + Avastin, and then Avastin alone. Post chemotherapy, SA developed very severe laryngomalacia on exposure to cold. Note; Laryngomalacia (literally, “soft larynx”) is commonly found in baby in which the soft, immature cartilage of the upper larynx collapses inward during inhalation, causing airway obstruction and breathing difficulties. Palliative chemo was continued with Xelox + Avastin until 26 March 2015. Progress: Initially before chemo, SA had to have abdominal tapping for ascites almost every week. But after the chemo, the last tapping done was in January 2015. Abdominal mass measures 10 x 14.1 x 15.9 cm (previously 9.4 x 6.4 x 7.1 cm). Multiple liver lesions seen in both liver lobes which appears similar in number and size. Hypodense thyroid nodule within the right thyroid lobe, similar to previous study. In addition to the above treatments (done in a university hospital), SA also received treatments in a private hospital. She had 10 cycles of Ebitux (RM 12,000 per cycle). After the chemo SA developed severe rashes in her face. SA also had chemo with Irinotecan and she developed cramps of her facial muscles. Her gum bled after brushing her teeth. In spite of all the above treatments, SA ended up having to go for abdominal tapping once every 4 to 5 days. The doctor wanted SA to under more chemotherapy. 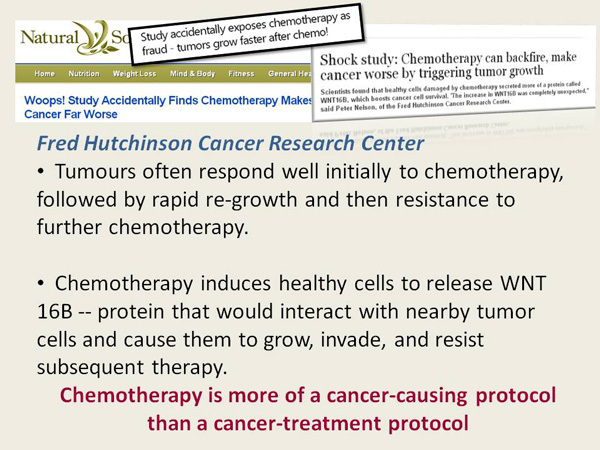 SA and her husband were not keen to receive more chemo. They came to seek our help. Unfortunately after a week on our herbs, her ascites and distended stomach still persisted. She still had to go for tapping. It appeared to us that we could not help her. So we told SA that there was no reason for her to continue taking our herbs. Comments: It is indeed a very sad story. Perhaps we can learn a few lessons from this case. From 24 September 2013 to 1 April 2014, SA had 8 cycles of palliative chemotherapy with Xelox (Oxaliplatin and Xeloda). The results showed all liver lesions had completely regressed. Bravo! Very effective, ya? But how many people understand that this “victory” is short-lived — just a illusion that happen time and time again? A few months later, the cancer can come back again. That was exactly what happened in SA’s case. SA were subjected to many kinds of chemo-drugs. Fist it was Xelox, consisting of Oxaliplatin and Xeloda. Then later, Avastin, Irinotecan and Ebitux were also used. All these drugs are toxic and SA suffered devastating side effects. Surf the net and learn about the side effects of these drugs before you decide to use them. Below is a long. long list of problems you can expect to encounter if you are treated with Erbitux and Irinotecan. (For the rest of the chemo-drugs you can do you own homework!). 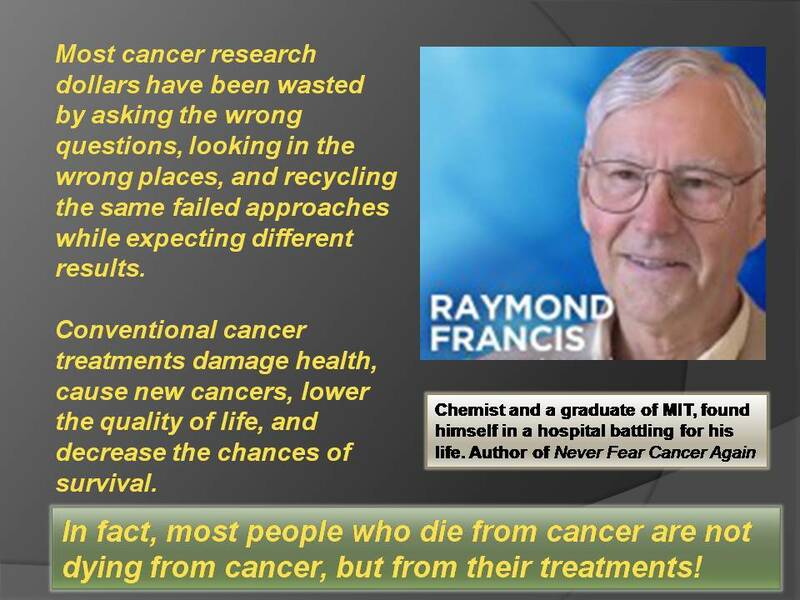 At the end, Raymond Francis concluded that In fact, most people who die from cancer are not dying from cancer, but from their treatments! severe skin reaction–fever, sore throat, swelling in your face or tongue, burning in your eyes, skin pain followed by a red or purple skin rash that spreads (especially in the face or upper body) and causes blistering and peeling. This entry was posted in Success Story and tagged chemotherapy, colon cancer, Erbitux, irinotecan, Xelox by CA Care. Bookmark the permalink.